On Saturday, April 22, 2017, 245 people attended the 4th annual Hanging with Heroes fundraiser held at Driftwood Camp in Melville. The event, which was held in conjunction with Friends who Care, a local fundraising grouped formed in memory of Sandy Aranoff a Commack woman who recently died of breast cancer, was filled with great food and entertainment. 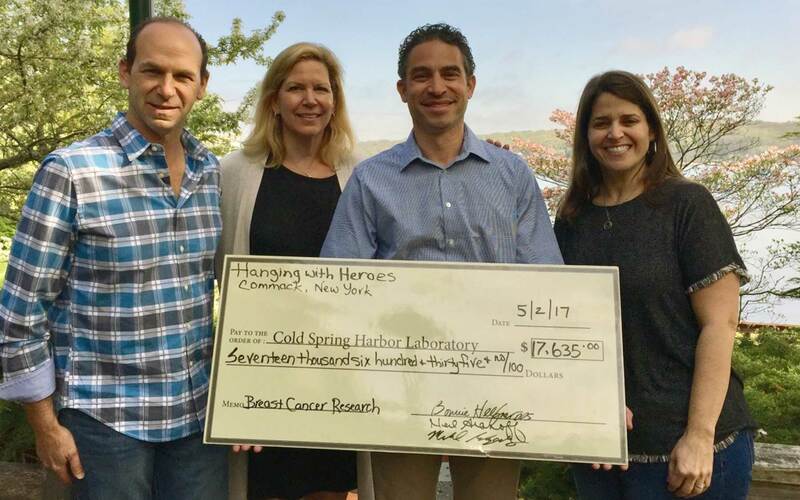 Proceeds from raffle sales totaling over $17,000 were donated to Cold Spring Harbor Laboratory’s breast cancer research program.